I absolutely love this serum, I’ve been using for a couple of weeks now and I do see a big difference in my hair. I had to cancel my last hairdresser appointment as I had a raging cold so ordered this that day. My ends still need trimming soon but they look and feel so much better now. 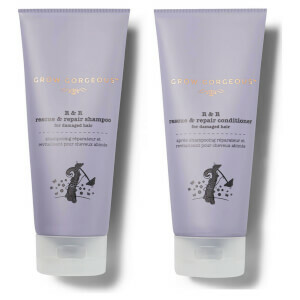 I apply apply it daily in a small amount before brushing the hair and effect is immediate - hair become softer, more shine and indeed less split and dry ends. Very good product, has a little scent that doesn't bother. I have long and thin hair and this serum is first one I have tried to do something about my split ends. It is not sticky on your hands, smells amazing, it leaves my hair neat and tidy. This cream/serum is quite thick, so it's a bit hard to use pipette. Overall - love it. I do believe its one of the worst split ends serums. Its imposible to sqeez out of pipet but never the less serum itself leaves my hair brittle porous and frizzy. Specialy ends looks like needs chopping off. Iv tried 3 times and it feeled like a straws after. What a waist of money. I am so disapointed this product. Will not recomend to buy. As i said - waist of money. Can i get refund anyone knows? Bought the whole kit and so very disappointed. I have naturally curly hair which is colour treated so I really like to look after it. I followed all the instructions to the letter and now my recently highlighted hair is much duller and it just looks lifeless with no natural body or bounce. Obviously I cannot comment on the growth serum yet but based on the other products, I'm not expecting much. Was expecting good things from this brand but it's nothing special, just overpriced products that personally didn't do a positive thing for my hair, the opposite in fact. Would not recommend and would not purchase again. If I could get a refund I would return the lot. A product you have to try. I was very pleased with the result. My hair is very thin and feels amazing after using this product. Wave goodbye to split ends, literally. And I mean literally! Decided to put this product to the test straight after I had had the chop of all chops. 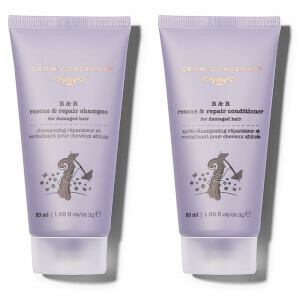 3 inches down and determined to look after my hair I decided to buy a complete Grow Gorgeous regime as recommended by the Grow Gorgeous team. I bought back into the roots in the hope it would help my hair grow, cleansing conditioner to improve the health of my hair and end split ends to combat breakage/split ends. Well all I can say is I'm definitely a member of the Grow Gorgeous club, its changed the way my hair looks, smells and feels. Well worth the investment! This is my new all time favourite hair product. I always have split ends no matter how often I get my hair trimmed but this product literally sealed them all! Almost unbelievable. Smells incredible and does an amazing job! I have long unruly and dry hair and this has definitely improved my hair health! This plus the strengthening oil have been my saving grace!